2 junior suites: the best privacy, indipendent entrance, double room with air conditioning, direct phone, bathroom with shower, separate sitting room with satellite TV and fridge. 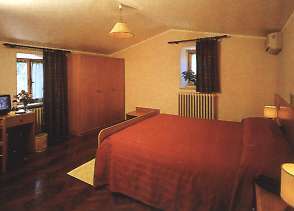 La Torretta is located in the quiet village of Petrignano just 3 miles (5 kms) west of Assisi city centre. You will be in the heart of the region the best location for your holidays in the Green Umbria: few minutes to reach your favourite landscapes, to feel a place of peace and of spirituality, to taste the flavour of our tradition and the pleasure to enjoy our millenary history. Arriving from north: exit from A1 at Valdichiana,(about 53 miles,90 kms, south of Florence) direction Perugia; after Perugia get the highway E-45 direction Cesena and exit in Valfabbrica Ancona, you'll find Assisi-Petrignano after 3 km. Arriving from South:exit from A1 in Orte,(about 40 miles, 70 kms north of Rome) and get the E-45 direction Perugia; continue the highway E-45 direction Cesena and exit in Valfabbrica Ancona, you'll find Assisi-Petrignano after 3km.